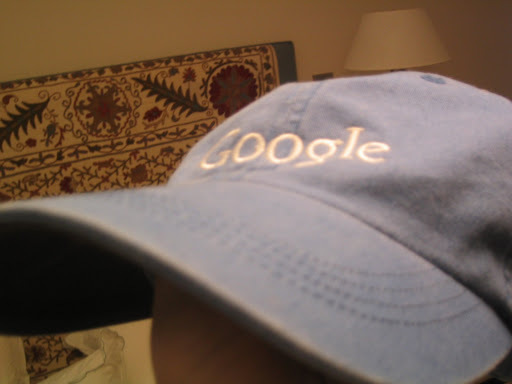 Google Gear: The IPO Hat? Every summer Google has a Family Picnic — it’s like an outdoor version of our Holiday Party except kid friendly – lots of activities, food, etc. In 2004 the annual picnic was coincidentally just after our IPO which lead some reporters to believe it was a celebration tied to the event. Not true — to most of us the IPO was a pretty cool day, but not something to celebrate. We just wanted to get back to work — I mean there were so many news crews around, more than I’d ever seen without the chalk outline of a crime scene.